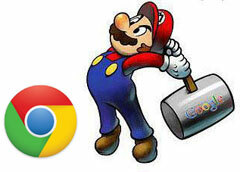 Home > Google News > Google SEO > Poll: Is Google's Response To Chrome's Paid Links Enough? Poll: Is Google's Response To Chrome's Paid Links Enough? Google was caught buying links to promote Chrome - well, it wasn't directly Google, it was a third-party Google marketing company doing it without their knowledge. (1) Dropping the ranking for Chrome for the keyword [browser] to well beyond page 7 or so. (2) Dropping the PageRank of the Chrome landing page. Is this enough? Take our poll below. Sorry that it took me until now to comment on the situation that Danny wrote about at http://searchengineland.com/google-chrome-page-will-have-pagerank-reduced-due-to-sponsored-posts-106551 . I’m in Central America this week and my ability to reach the internet hasn't been great. I’ll give the short summary, then I’ll describe the webspam team’s response. Google was trying to buy video ads about Chrome, and these sponsored posts were an inadvertent result of that. If you investigated the two dozen or so sponsored posts (as the webspam team immediately did), the posts typically showed a Google Chrome video but didn’t actually link to Google Chrome. We double-checked, and the video players weren’t flowing PageRank to Google either. However, we did find one sponsored post that linked to www.google.com/chrome in a way that flowed PageRank. Even though the intent of the campaign was to get people to watch videos--not link to Google--and even though we only found a single sponsored post that actually linked to Google’s Chrome page and passed PageRank, that’s still a violation of our quality guidelines, which you can find at http://support.google.com/webmasters/bin/answer.py?hl=en&answer=35769#3 . Are You Satisfied With Google's Response On Chrome? In a WebmasterWorld thread, one user said, "Really they probably had no choice with the FTC on their back."